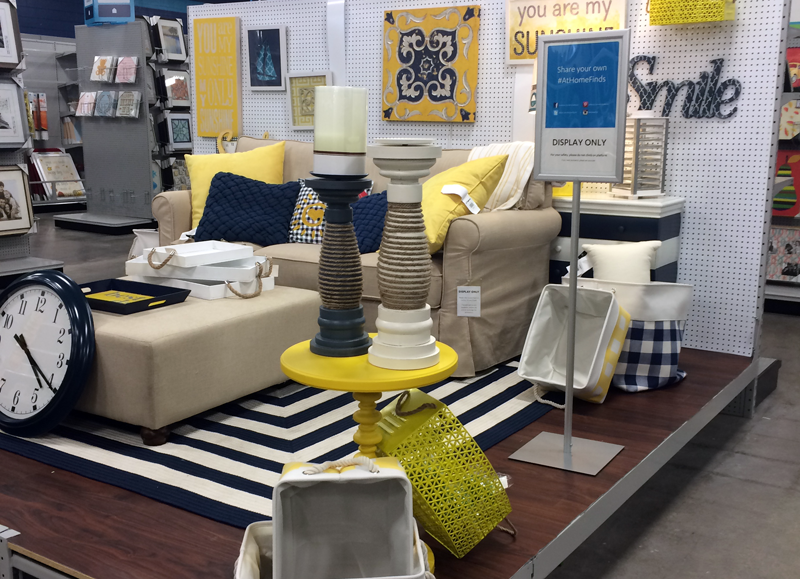 Many kids will be heading off to college soon and that means time to decorate their dorm room. Decorating a small space on a budget doesn’t have to be hard. You just need to get a little creative and make smart design decisions. 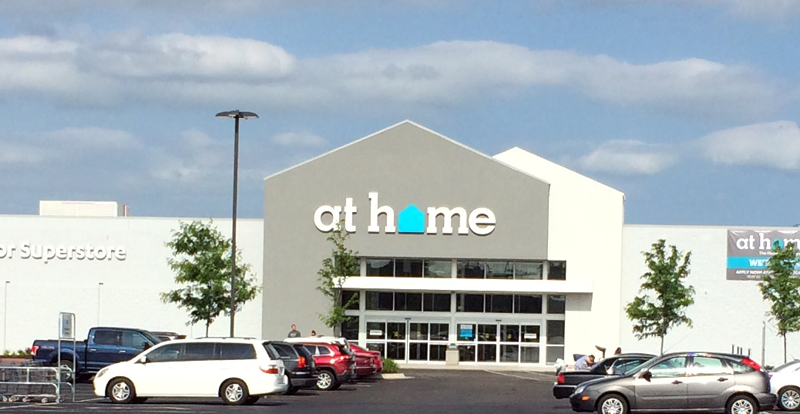 I was excited to be asked to head to my local At Home Store to find items to decorate my small space. First of all, the selection at my At Home Store was a bit overwhelming. However, they have everything laid out in sections so you can easily find what you need. I spent a lot of time browsing before I made my decision on which items to bring home. Get Organized. Get organized before you head off to buy items for your new room. At Home offers an amazing dorm room checklist so you can get everything you need while staying organized. Also be sure to find out if you will have a roommate. The two of you can coordinate decor or even go shopping together. It’s fun and is a great time to get to know one another! Be Creative with Storage. Storage can be the hardest thing in a dorm room. You have clothes, toiletries, books, etc. that all have to fit in one tiny place. You can find a variety of baskets to use that are either open or with lids. They are functional and look cute. Plus, you can find them in a variety of sizes. Don’t overlook extra storage space under your bed. You can find long, slender storage containers that will easily slide in and out for easy storage. Store shoes in an over-the-door shoe organizer. Not only does it save space but you can easily find which pair you need. Keep Your Feet Warm. Be sure to find out if your dorm room has carpet or not. If it doesn’t you might want to consider a rug. Besides being able to add a pop of color, you’ll be glad it’s there when your feet are cold in the winter time. At Home has the most amazing selection of rugs. Oh my gosh, I loved looking through them! Make Your Own Art. Print photos from home and place in picture frames. Fill your walls with your favorite things: family, friends, your cat, dog, etc. Or, paint your own amazing work of art to hang on the wall. Get creative with your wall decor. You don’t have to spend a fortune on framed art to make your space look great. DIY Furniture. Getting creative and bringing out your inner DIY self you can easily make your furniture or re-purpose furniture for your room. You can make a simple headboard for your room. This will add a great design element to your room. Most of these can be made with the help of a friend or your parents right at home. I love finding plain or old furniture that I can re-purpose or paint by making it my own. Or, there’s a huge selection of reasonably priced furniture to furnish your whole dorm room at At Home. Add a Pop of Color. Dorm rooms can be so drab. Add color with your bedding, shower curtain or a rug. You can keep the walls neutral, especially if they don’t let you paint them, but adding the color will definitely make your room pop. Or, try adding temporary wallpaper and decals. These can really make your space your own. Add Greenery. I love having greenery and fresh flowers in my home. You can add a plant you’ve grown or try a faux plant. Fresh flowers are a must have for me but you can get gorgeous faux greenery and flowers. If you don’t have a green thumb, faux is the way to go! Have fun moving your children in to their new space. Let them take the reins on the creative part and you can help them organize. Help them make it their home away from home. Because small spaces can have huge style with At Home.